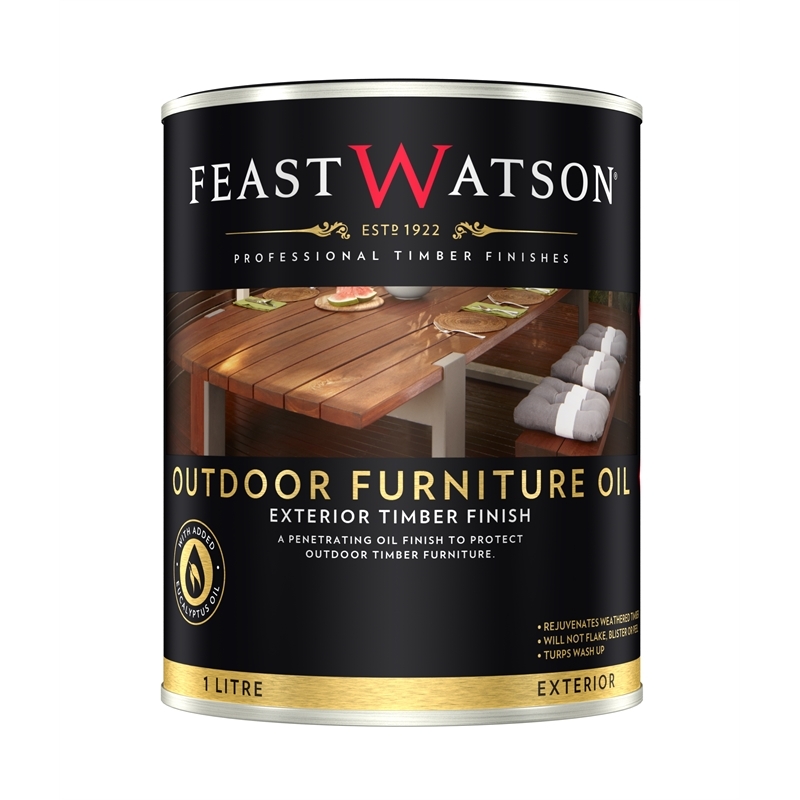 A protective, penetrating oil, with UV, water, fungi and mould resistant properties, Feast Watson Outdoor Furniture Oil is specifically formulated to preserve and maintain the natural look of timber. 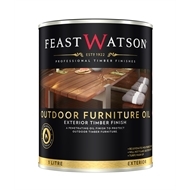 Outdoor Furniture Oil is available in four semi-transparent timber colours and a clear finish. It is suitable for use on all outdoor timber furniture and timber BBQ trolleys. Deeply penetrates and preserves the natural look of timber. 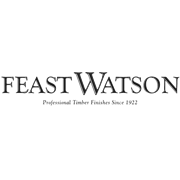 For use on all types of timber outdoor furniture and timber BBQ trolleys.